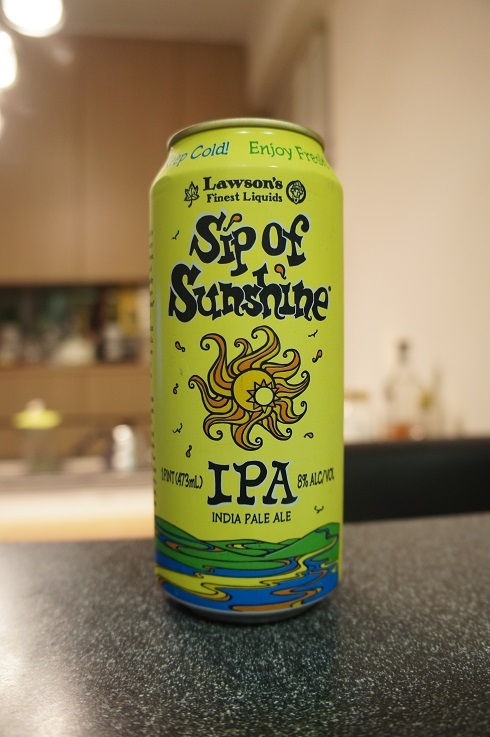 Other Notes: Brewed by Lawson’s Finest Liquids at Two Roads Brewing Co., Stratford, CT. Brewer Description: (from can) This lupulin-laden India Pale Ale is packed with juicy tropical fruit character, bright floral aromas, and delectable layers of hop flavor. Pour mindfully, inhale deeply, and enjoy a tropical vacation in a glass. Always store cold, enjoy fresh and stay cool! 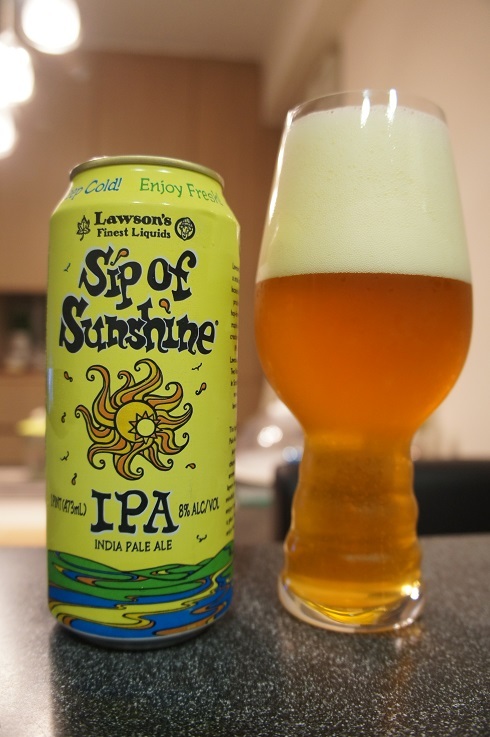 Intro: A 1 pint can canned on 1st April 2016 and poured into a Spiegelau IPA glass. Appearance: It poured a slightly hazy golden orange colour with a big three finger frothy white head that had good retention and left nice lacing. Aroma: Lots of fruit with orange, orange rind, grapefruit pith, lemon and pineapple. There’s also some honey and a hint of dank mustiness. Taste: Citrusy lemon, lime, orange zest, tangerine and grapefruit bitterness plus tropical mango and peach. Nice light candied toffee and caramel sweetness in the background. Overall: Ahh, what a stunning DIPA. 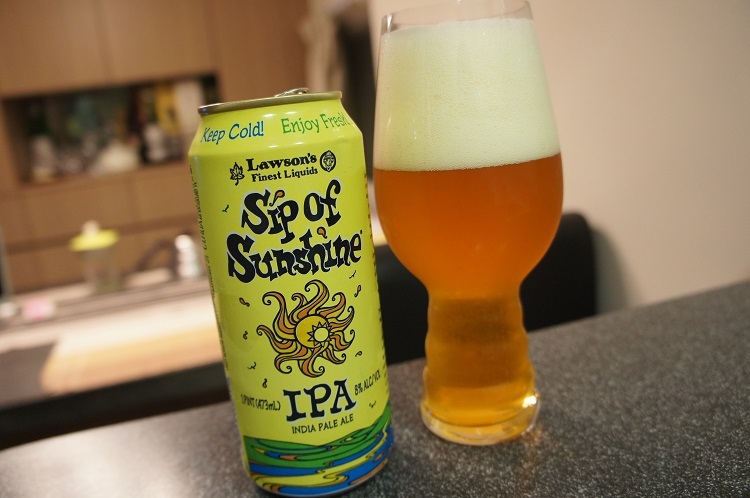 I prefer Sip of Sunshine over Heady Topper, but in the end both are really good. Great balance between bitter and sweet and easily ends up as a must buy beer for me.